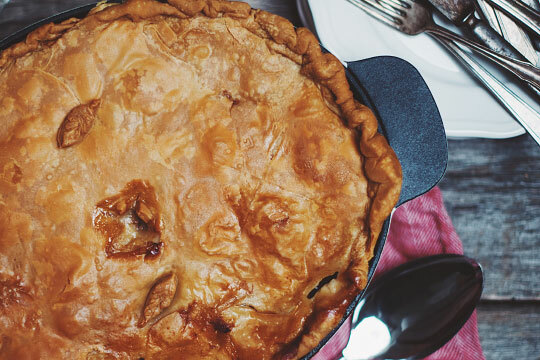 Did you know that tourtière and soup are among the first meals known to humanity? According to the Encyclopaedia of Cultural Heritage of French America, three recipes dating back to 1600 BC were recorded on clay tablets in Mesopotamia (present-day Iraq). Obviously, the version we know today is very different. At the base, the dish consisted mainly of the pie, a bird similar to the pigeon. NOT that I do not like pigeons, but I have a lot of trouble catching them! In a very, very, VERY large bowl, add all ingredients except chicken broth and dough. Season with salt and pepper generously and toss well. Reserve in the fridge. On a floured work surface, take 3/4 of the pie dough and roll down to obtain a large crust of about 3-4 mm thick. Line the bottom and sides of a large casserole about 30 cm long by 25 cm wide. Roll down the rest of the dough to obtain another 3-4 mm thick crust and set aside. Pour the meat mixture into the bottom of the casserole then add enough chicken broth to have liquid 1 cm under the meat. Cover with the remaining dough and form a chimney by cutting a hole in the center. Seal the edges of the pie. Cover with foil and make a hole where the chimney is. Place in the oven and cook for 1 hour. This will help to have a crispy inside crust! Reduce the temperature to 325 °F and continue cooking for 3 hours. Give a rotation of 180 degrees after 1h30. Reduce the temperature to 300 °F and continue cooking for 2h30 minutes. Remove the aluminum foil and continue cooking for about 1h30 or until the top crust is golden brown! Remove from the oven and let stand for 30 minutes before cutting and serving. Your meat pie will be juicy and that’s normal! You like it more creamy? 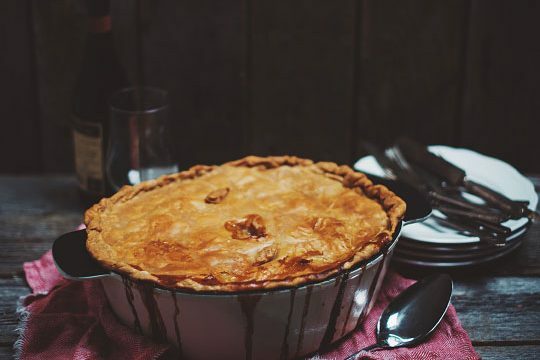 Cook the pie the day before, let it cool for a few hours and put it in the fridge overnight. You only have to warm it up for 1 to 2 hours at 325 °F before serving it! Well, it's not cheap at $31 but it's the perfect companion for this Tourtière du Lac-Saint-Jean. With its nose of white pepper, violet and blackberry, it has everything to charm. The mouth is vibrant, combining power and finesse, with a lingering finish. It's not Christmas every day ... you're going to enjoy my friends! A beer from the lake for a Tourtière from the lake !!! This scotch ale from La Chouape will offer you aromas of caramel and barley sugar that will be enjoyed with long braised meats. The crispy crust of the pie dish will remind the roasted grain of the beer. 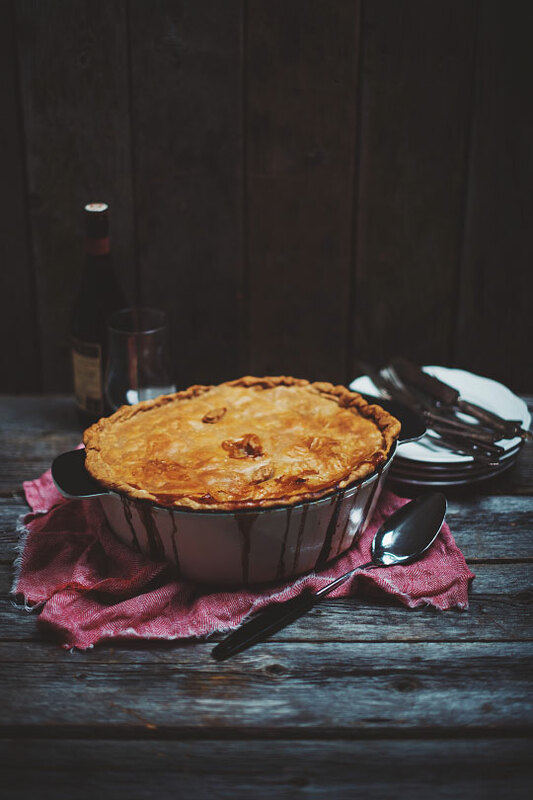 Round in the mouth, it will be as comforting as a tourtière of the holidays!